About Us – Equine Partners, Inc.
At EPI, “natural horsemanship” is a lifestyle. It is a language of love, communication, feel, and fairness through a practice of progressive principles and techniques. The promise that we make to our horses each day is to put our relationship first above our desires and time lines, to be aware and introspective, to be a good listener and partner and to consider the horse’s idea first. The trust, understanding, respect, and try that the horse offers in return is priceless. For more information or to schedule a lesson or a tour of the ranch, call (530) 559-1602 or email murphy-erin@comcast.net. Erin began showing horses when she was 3, and started jumping when she was 5. At 13, she saw Pat Parelli demonstrate his method of teaching natural horsemanship, and she immediately began following the principles of natural horsemanship in everything she does with horses. Over the decades, Erin has studied with Dr. Robert Miller, Pat Parelli, David Lichman, and Dr. Deb Bennet, as well as with thousands of horses. Erin founded Equine Partners, Inc., to create a community where you can practice, learn, and enjoy mutual support on your horsemanship journey. The EPI program combines lessons, horse development, a lending library, and access to the ranch facilities help you achieve extraordinary results with your horses, whatever your equestrian goals may be! Lisa was recognized as a gifted rider at an early age. At age 14, she was sent to New Zealand for a year to study with Olympian Mark Todd and competed in the hunter show circuit there. She has trained with Hilda Gurney, George Morris, Bruce Davidson, and the former Oberbereiter of the Spanish Riding School, Franz “Roc” Rochawansky. On the horse psychology side, she has worked extensively with Tom Dorrance, Ray Hunt, Harry Whitney, Pat Parelli, and Buck Brannaman. Lisa has also completed 6 Equine full-body dissections with bio-mechanic/physiology specialist Dr. Deb Bennet. Lisa has ridden and taught western pleasure, halter/ showmanship, trail, driving, pleasure riding, hunt seat, pony club, eventing and hunters “A” circuit. She is especially gifted in teaching, as her ability to “read” a horse extends to an ability to “read” a rider and work with their unique personalities and needs. Lisa has more than 30 years of experience in the horse industry and is a Certified Horseman’s Association (CHA) Master Instructor. Leslie grew up with a horse-crazy sister, but was not quite horse-crazy herself as a child. Fast-forward a few years and you’ll find Leslie out in all weathers, caring for all of the horses (and ponies and donkeys and pigs and cats…) on the ranch. If someone needs medicine, she applies it. If someone needs blanketing, she blankets it. If someone needs to be fed, or watered, or cleaned, or moved, or held still…Leslie is there, working tirelessly to ensure the safety, health, and happiness of every animal on the ranch. You can often see Leslie and her husband Eddie working around the property, repairing and beautifying and improving as they go. They work hard to make the ranch the wonderful oasis that it is, for all of the animals and the humans who love them. When she’s not interning, Leslie enjoys painting, making collage art, and photography. Jan did not grow up with horses, although she admired their beauty from afar. And then one day in 2009, she went with a friend to rescue a pony, described as half miniature Appaloosa and half Shetland pony. For months after they brought him home, the pony was skeptical about humans and didn’t want anyone to get close to him – until he chose Jan to be his human partner. 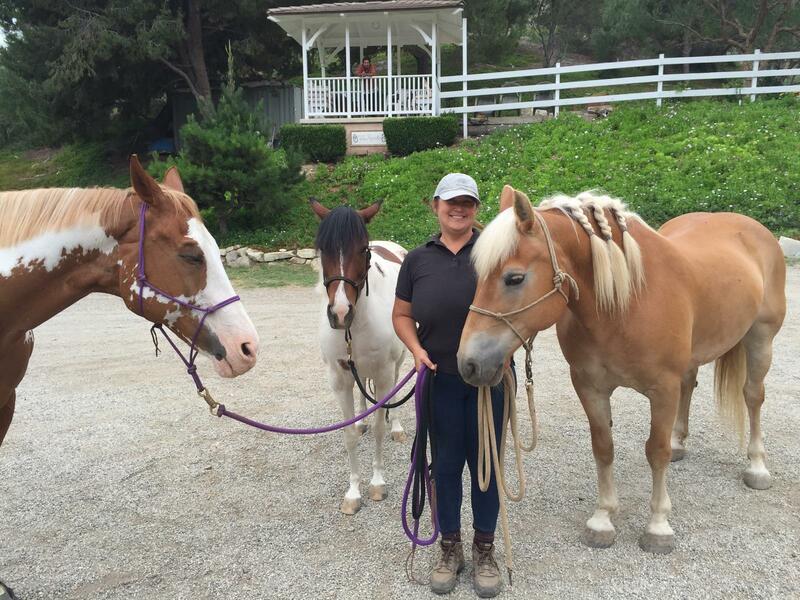 Jan began learning natural horsemanship and joined the EPI working student program. As she fell in love with her pony, she fell in love with horses. Now Jan divides her time between writing children’s books and poetry, interning on the ranch, reading everything she can get her hands on, and playing with her very own pony. Congratulations Maddy and good luck in Florida! 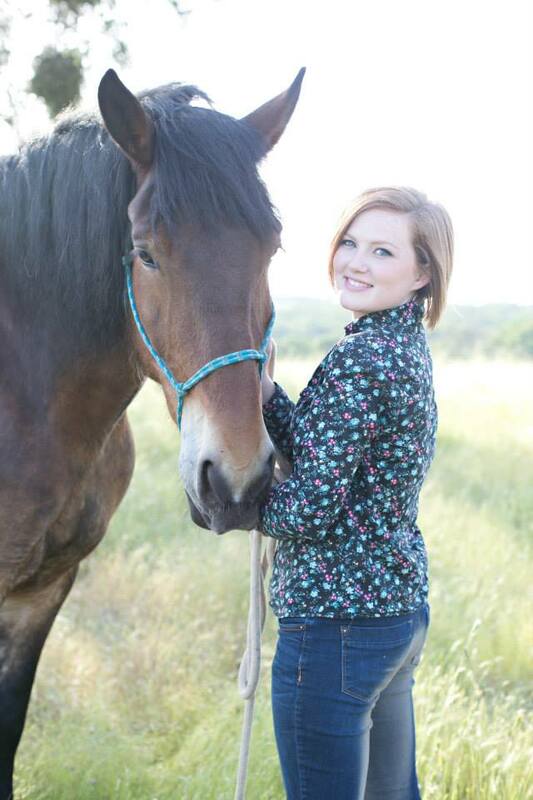 Maddy began riding horses when she was 7 years old and got a horse of her own at 13. 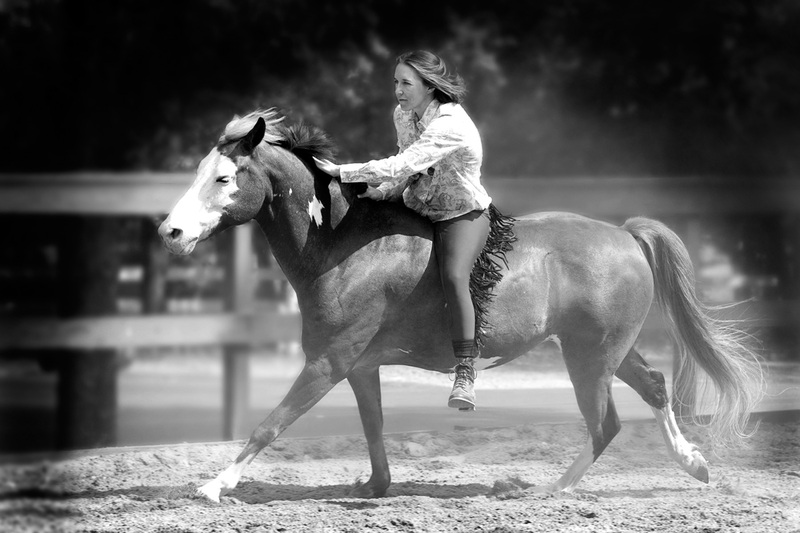 Her dedication to horsemanship never wavered through junior high and high school; for her senior project, she started a 4-year-old warmblood under saddle. Maddy became an indispensable part of EPI in 2010, starting as a working student and quickly earning a place in our hearts. In 2012, she accepted a position as Erin’s intern, working directly with Erin in all aspects of horse development and helping develop the summer youth camp program. In addition to her passion for horses, Maddy enjoys playing the cello and camping, not necessarily at the same time.